VW Beetle Convertible.2 ltr. Low mileage: 94,000 miles. Pearl Metallic Blue.04. Well looked after clean low mileage pearl blue cabriolet. VW original alloy wheels. Key locking. Full years MOT April 2020. First to see will buy. Sold in the UK to UK residents only. Citroen Ds3 2014 1.6 Hdi Diesel Convertible Airdream Plus. AND IT HAS ELECTRIC POWOR FOLDING MIRRORS. IM LOCATED IN BIRMINGHAM. Very low mileage (less than 9k miles), S197 left hand drive, 5th Generation Mustang. Also included in the sale are the original springs and the original exhausts. Has been kept in my garage since I bought it in 2015. Exclusive Motors South Wales LTD - Viewings by appointment only!!! CALL 07863032825 For further details!!! - Call us on 07 07863032825 or click here to find out more. 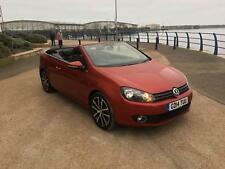 2014 BLACK VAUXHALL CASCADA CONVERTIBLE. ELECTRIC MIRRORS. FULL SERVICE HISTORY. 6 SPEED MANUAL GEARS. WELL MAINTAINED IN VERY GOOD CONDITION. Peugeot 207 cc 1.6 HDI 2014 Roland Garros. HARLEQUIN MOTOR COMPANY - Call us on 441174287056 or click here to find out more. 2014 14 REG BMW 420D SPORT AUTO WITH PADDLE SHIFT. INC FULL HEATED ELECTRIC LEATHER SPORTS SEATS AND HEATED STEERING WHEEL AND AIRSCARF. PROFESSIONAL WIDE SCREEN SATNAV DAB RADIO AND BLUETOOTH CONNECTIVITY. BMW 4 Series 420d M Sport. Automatic White Hardtop Convertible. BMW Online Services. Isofix Child Seat Anchor Points. Anti Theft System (Thatcham 1). Adaptive M Sport Suspension. 19” Original Alloy Wheels with Run Flats (Bridgestone Potenza All Round). It is Orion Silver with full red leather interior, and is in as new condition. The car is as new, has 1 previous owner who paid 40k for it when new. Original BMW stereo, very loud amazing sounds. Electric seats. 19’ alloys. If you are looking for one of these particular cars then this is the one, it has everything and hardly used. Auto wing mirrors, windows. BMW M4 64 REG 2014 WHITE CONVERTIBLE WITH RED LEATHERS 39K MILLAGE Here you have is my bmw m4 convertible auto which I have owned for 2 years. When I started my search for a bmw m4 it had to have the followings and this has. Racecourse Cars Ltd - Call us on 441242903181 or click here to find out more. JUST £76 A WEEK! £0 DEPOSIT! ARRIVING SOON!! Fantastic BMW 435i Convertible with the rare manual gearbox and all the optional extras you could want, making it a real drivers car for any occasion. Serviced with BMW in November 2018 and MOT valid until end of Sept 2019. Premier Cars - Call us on 441708932458 or click here to find out more.